Locate and open the Research Data Australia data record you would like to export a reference for. 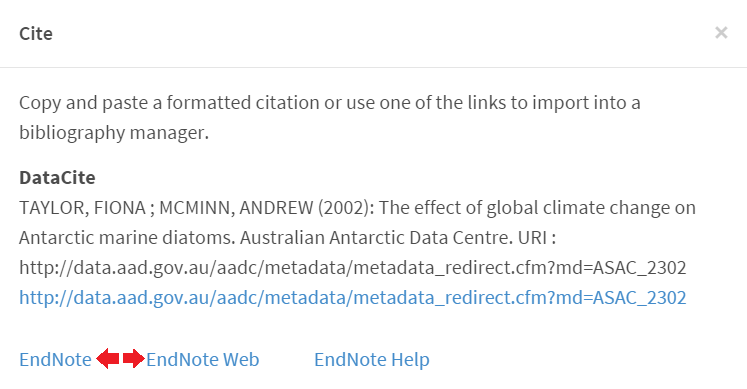 Click the 'Cite' button displayed in the data access section of the page. The Citation popout will be displayed. From the bottom of the Citation popout, select the version of EndNote you would like to export the reference to. If you are importing to a desktop version of EndNote and you have configured your machine to open ‘RIS’ files with EndNote, the reference should be imported directly. Configuring your computer to open 'RIS' files in EndNote. Upon selecting to export you will be prompted to either save or open the file. Select ‘Open’. 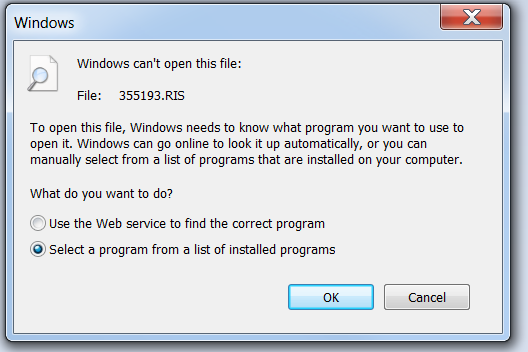 In the Windows dialog select the option ‘Select a program from a list of installed programs’. 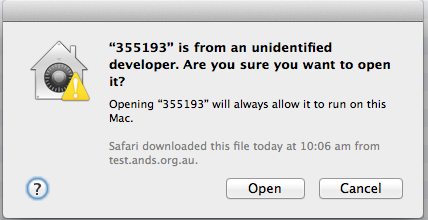 An ‘Open with’ dialog box will open. 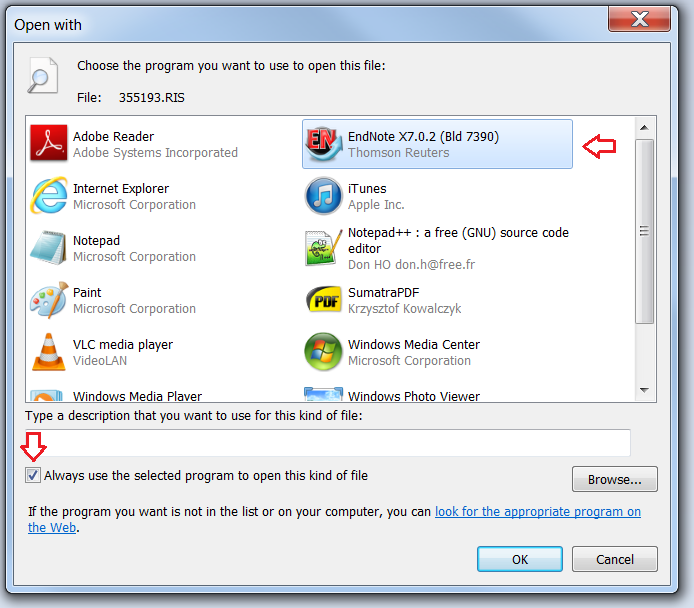 Before locating EndNote in the list of options, ensure the ‘Always use the selected program…’ check box is selected. Locate EndNote in the list of options, selected it and click ‘Ok’. The reference should be imported into EndNote. If EndNote is not listed you will need to use the ‘Browse’ button to locate it on your computer. Upon selecting to export the file, it will be downloaded to your machine. Most likely in your ‘Downloads’ folder. 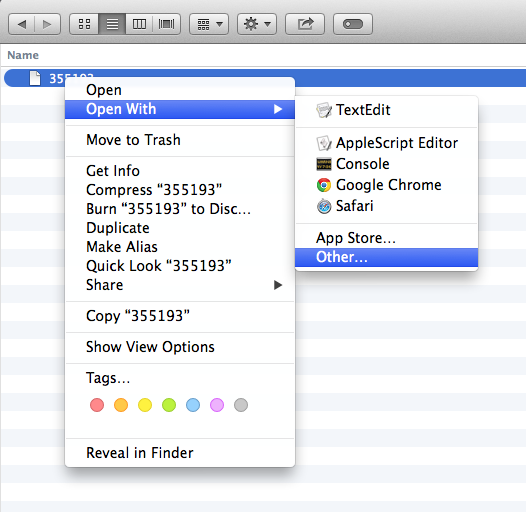 Navigate to the file in Finder, and while holding down the ‘Control’ key, click the file then select ‘Open With > Other’. The ‘Choose Application’ dialog should be displayed. Before locating EndNote in the list of options, ensure the ‘Always open with’ check box is selected. 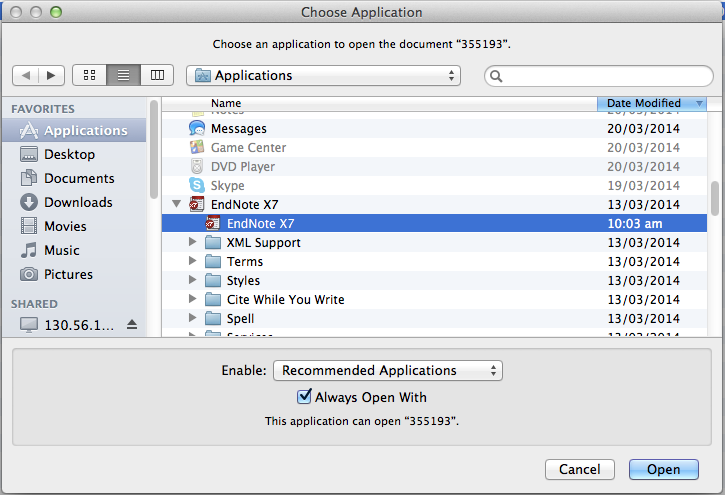 Locate EndNote in the list of options, selected it and click ‘Ok’. Depending on your security settings you may be presented with a system warning. Click 'Open' to continue. The reference should be imported into EndNote. If EndNote is not listed you will need to locate it on your computer.